My family always has a great time playing the LEGO DIMENSIONS video game. Players take physical LEGO mini-figure characters and brick models, place them on a toypad and are transported to virtual worlds where they engage in adventures as digital versions of these characters. It takes the fun of LEGO toys combining that with characters and places from popular movies and television shows and video game action. You get both good and evil in this pack of characters that includes the heroic Gizmo and the dastardly Spike. This duo unlocks an exclusive Gremlins themed Adventure World and Battle Arena that is especially terror-ific to play around Halloween. 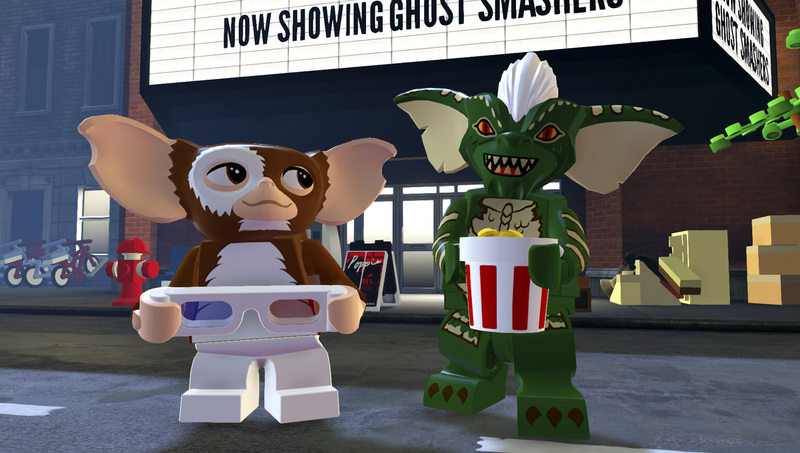 Use Gizmo’s Combat Roll and Dash Attack abilities to get him out of sticky situations caused by the gremlins but beware because Spike's claws can really rip things up. Zoinks! When it comes to solving a mystery who are you going to call? No not the Ghostbuster but rather ... Scooby Doo. 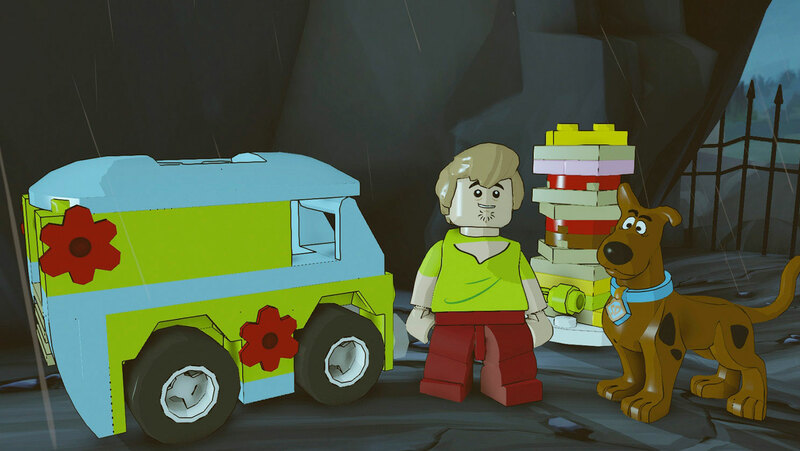 This team pack includes the canine detective and his faithful sidekick Shaggy plus the classic Mystery Machine van to ride around in. Activate Scooby Doo's special tracking, digging, and stealth abilities while Shaggy can lend a hand with his tracking and illumination skills to solve puzzles within the game. 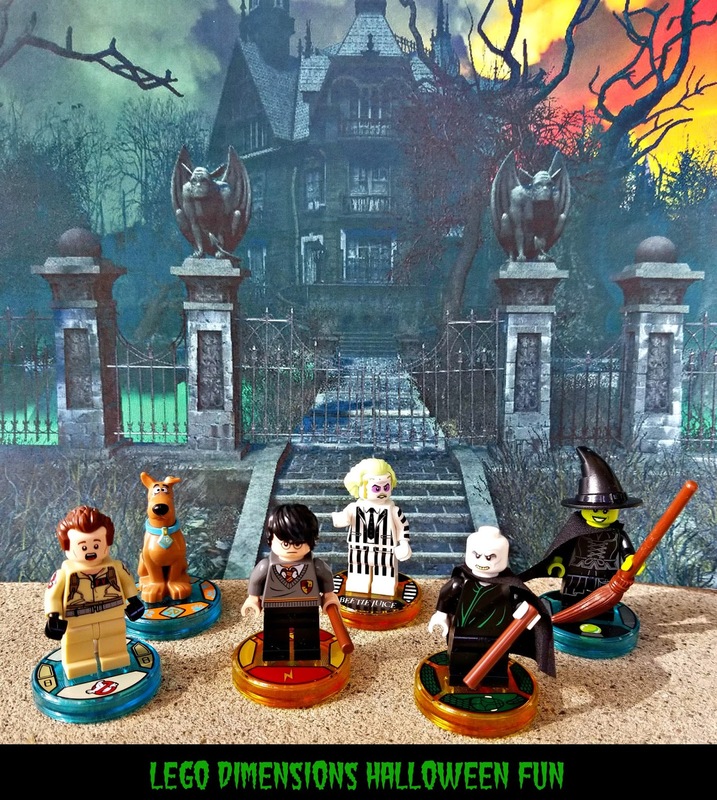 Plus these characters unlock a spooky Adventure World that makes you feel like you've been pulled inside a Scooby Doo cartoon that provides a great vibe for some Halloween fun. 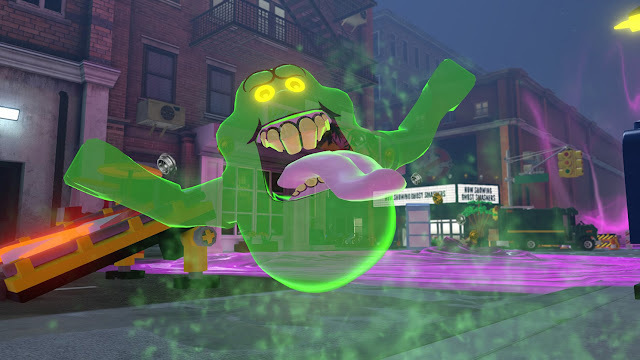 Oh yeah the Ghostbusters are part of this video game too! 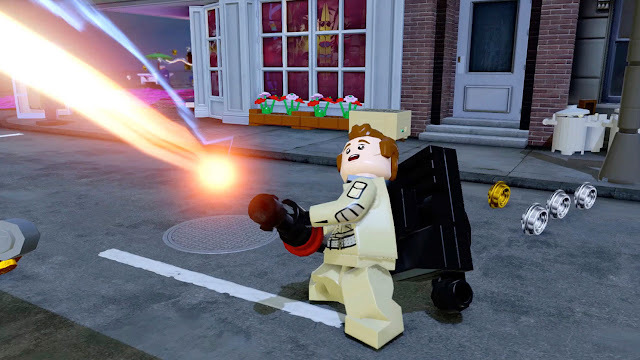 Play through your favorite scenes from the original Ghostbusters movie (1984) with this expansion pack that includes an add on level to the LEGO DIMENSIONS game along with a Peter Venkman mini-figure and an Ecto-1 brick model. Cause some chaos with everyone's favorite Ghost .... Slimer! Fire his hot dog and activate his Boomerang, Sonar Smash, Flying, Dive, Hazard Clean, Illumination, Mini Access and Hazard Protection abilities to solve puzzles and battle enemies. Slime your enemies with Slimer from Ghostbusters. 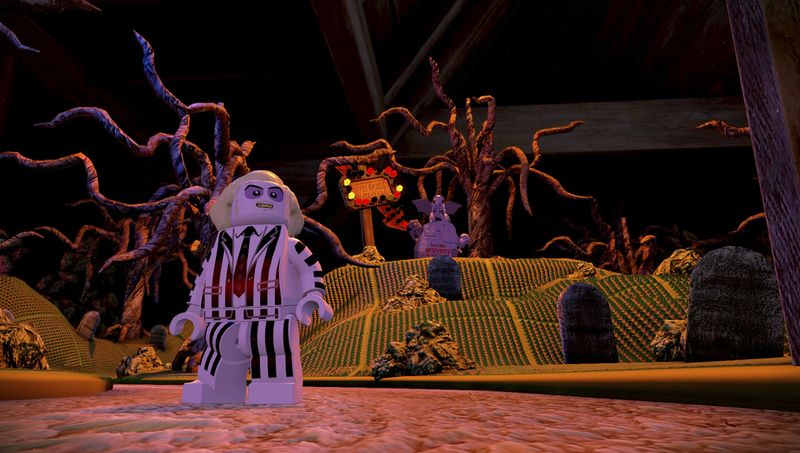 This vampire will have your LEGO DIMENSIONS adventures rocking! 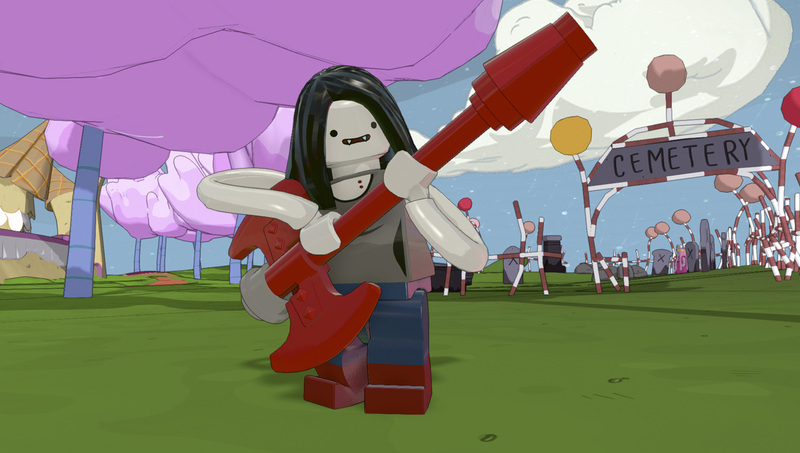 Not only does she provide some cool powers with her Sonar Smash and Bolt Deflector abilities, but this vampire unlocks an Adventure Time themed Adventure World and Battle Arena. 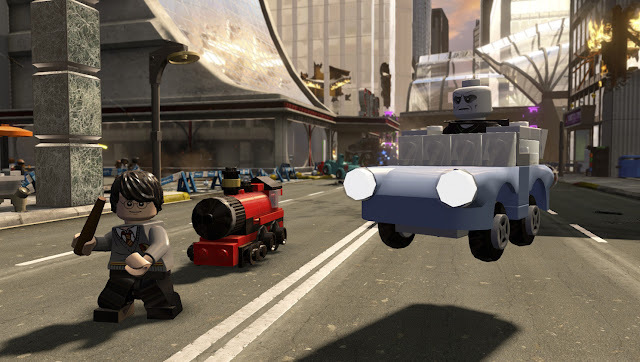 Enjoy the magic of the Wizarding World of Harry Potter with this expansion pack that adds the boy wizard and the evil Lord Voldemort into the fray. Unlock the Harry Potter Adventure World and bring the fight between good and evil into the Battle Arena. Use Harry to cast spells such as Wingardium Leviosa, Stupefy, and Expelliarmus to solve puzzles and fight off Death Eaters, or play as Voldemort for access to Dark magic. Use the included buildable LEGO brick models to take a ride on the Hogwarts Express or to fly around in the Weasley family's enchanted car. Beetlejuice, Beetlejuice, Beetlejuice. Summon the mischievous bio-exorcist for some spirited fun! 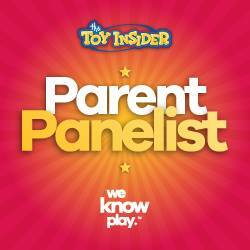 He unlocks a ghostly adventure world and battle arena but can stir up trouble anywhere within the game. He also comes with a buildable brick model of the Saturn's Sandworm that can tear up a path through the LEGO DIMENSIONS multiverse. 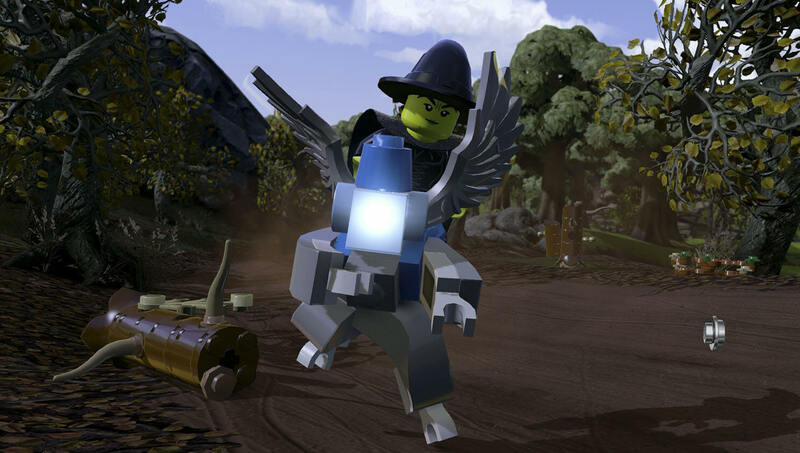 Fly around on a broom stick causing trouble or unleash your flying monkeys to dominate your foes with this Wizard of Oz themed mini-figure and brick model. Cast a spell over the LEGO DIMENSIONS video game with her Flying, Magic, Illumination, Mind Control and Magical Shield abilities. Plus the flying monkeys are a hoot! 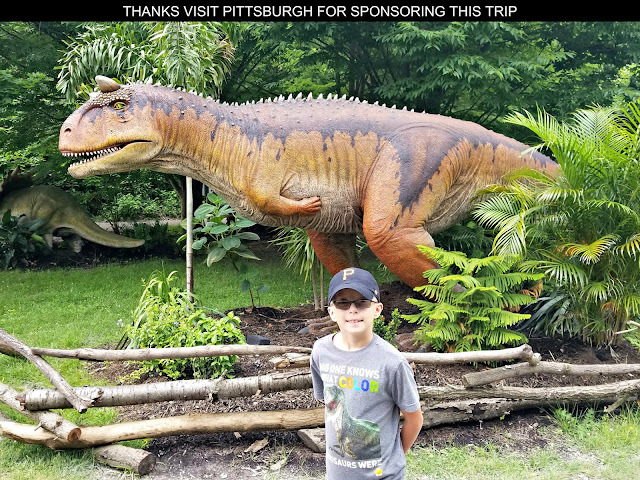 Disclaimer: Some of the products in this post were provided by LEGO DIMENSIONS for A GEEK DADDY to review and others were purchased with my own money. I was not compensated for publishing this post and wrote it on my own inclination.